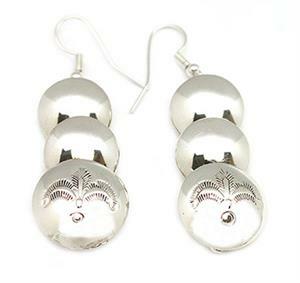 Sterling silver plain round flat beads with stamped bottom bead. They measure approximately 2 1/8" long including silver pated french wires by just over 5/8" wide. They are Navajo hand made and crafted by Angeline Miller. Stamping on bead may vary.